Dolphins Team - What Bin? Our app is an easy app that helps you save the world, our app is so exciting you can make crafts, play fun quizzes and learn where to put rubbish so you can put it in the correct bin. 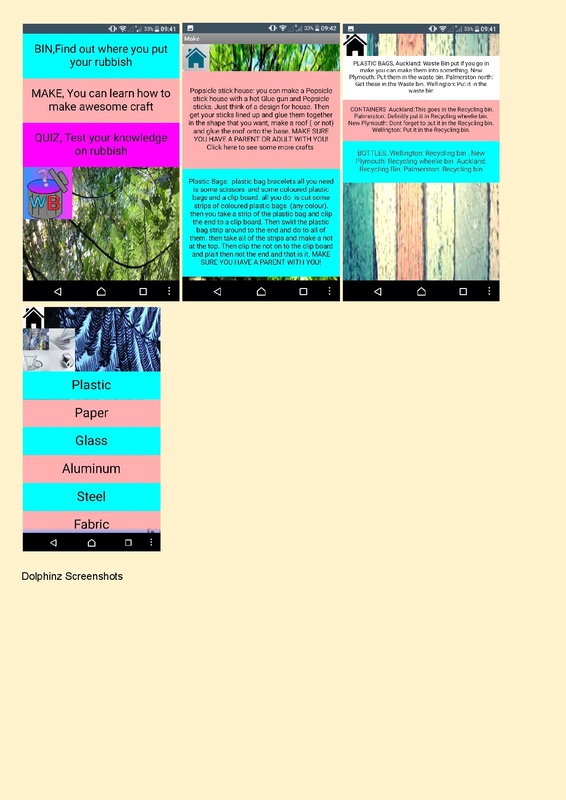 The idea of our app is all based in the environment click a few buttons and you get tips on rubbish crafts, swipe the screen, BOOM you know where to put your rubbish, touch the screen and BOOM a quiz for all ages. This app is for young and old minds, when you get this app you'll become a green hero.